With all our Compassion Projects there is always a lingering uncertainty if we will fulfill on our promise, meet our finacial goals, make the deadline, & most importantly get the logistics in place to actually complete it. Yet we always do. With heart & soul & a lot of generous contributors, we’ve successfully completed 5 projects as promised. Our most recent project marks the start of a new partnership with Rays Home for HIV Positive Children & it also marks a turning point for Tribe of Lambs in that we are now committed to supporting HIV Positive children in Rajasthan & across the world. After reaching the project deadline on May 15th, Fadi & myself had the opportunity to go and visit the classes at Landmark Educational Centre. It was amazing to see all these kids learning, expressing, & generally having a good time in their studies. 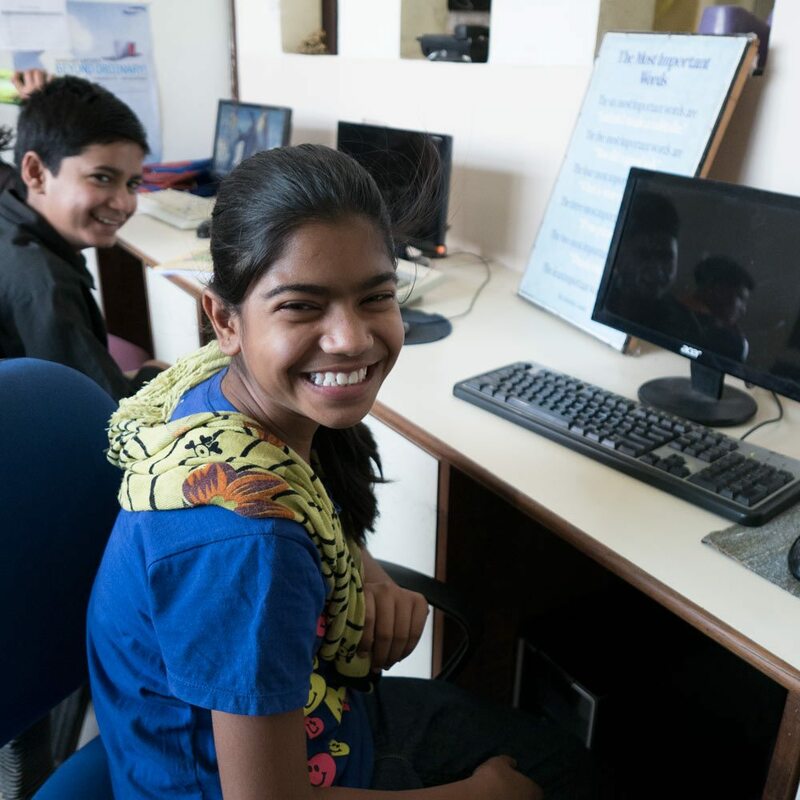 Because they are on summer holidays from “regular” school, it is a great chance for the children to further develop their computer, arts & crafts, etiquette & language skills in which they don’t get to utilize in their regular school. Compassion Projects! Read about what we’ve been up too in India with our previous & upcoming projects. Want to get involved? Contribute directly to our projects, our mission and the Tribe. We keep all our contributors updated on their donations with emails, cards, & full transparency. Check out Rays Home online, they are a NGO supporting HIV Positive Children in Jaipur, India. They are our official gifting partner, our beneficiaries & extended family.